Together We Will Bluegrass and Indivisible Bluegrass have merged. 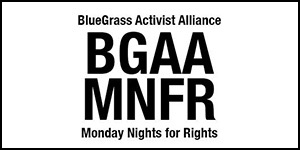 We are now Bluegrass Activist Alliance! Join us as we fight for progressive values in Kentucky's 6th Congressional District. Bluegrass Activist Alliance is the merger of two Central Kentucky activist groups, Indivisible Bluegrass and Together We Will Bluegrass. The groups worked together throughout 2017 as they fought the Trump and Bevin agendas and promoted progressive values in Kentucky. 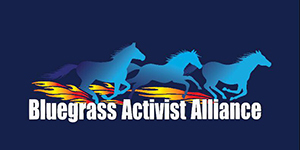 They officially united their efforts in the fall of 2017 with a merger of the groups and announced the new name, Bluegrass Activist Alliance, on December 10, 2017.